James Baskey is a financial advisor with Sickle Hunter Financial Advisors in Tampa, Florida. James specializes in financial planning with an academic background in financial planning and is a candidate in becoming a CERTIFIED FINANCIAL PLANNER™. As an Enrolled Agent, James has earned the privilege of representing taxpayers before the Internal Revenue Service. In addition to representing client’s before the IRS, James can also prepare, amend and strategically plan tax saving strategies. James graduated with his B.S. in Finance with a concentration in Financial Planning from Western Kentucky University. The school was recently ranked among the “Top 60 Schools for Financial Planning” by Investment News and is accredited from the Certified Financial Planning Board. James is a member of the Financial Planning Association and was also a beta tester for iQuantifi, a financial planning software. 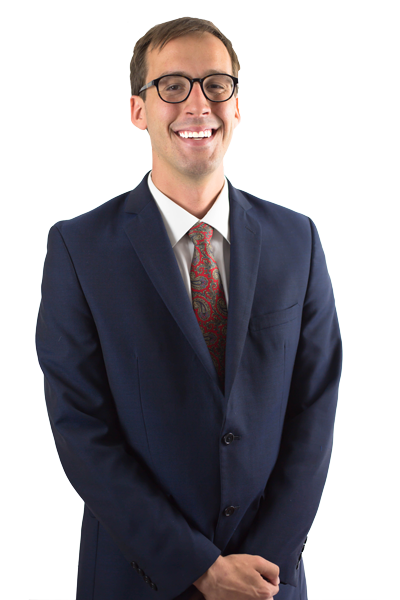 James has been an active member of our community and is a part of Business Networking International’s local chapter “Deal Makers.” He is also a part of the South Tampa Chamber of Commerce and on the Taste of South Tampa committee. James grew up in Mount Sterling, Kentucky, but now lives in South Tampa.